100 Elk is a popular outdoor education and character development program offered to the community through the A/U Ranches. Each experience is designed to meet the specific needs of your group with the overall mission of “revealing the possibilities within.” The 100 Elk program was started in 2000 and serves over 1,600 youth and adults each year. The 100 Elk Outdoor Center is a program of the A/U Ranches and has been offering team building and personal development activities for 15 years. 100 Elk serves primarily public and private schools and organizations in the mountain states region. The 100 Elk Outdoor Center uses outdoor educational programming to help expand a sense of self, community, and the environment. Participants interact in small groups and rotate through a variety of physical activities and exercises. 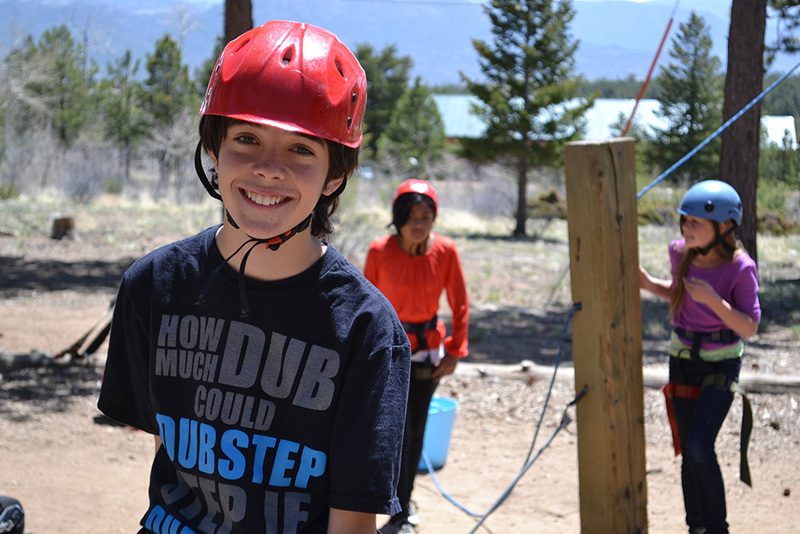 Ropes course, rock gym, orienteering and team building are just a few of the activities that make 100 Elk a valuable program for schools, sports teams, at-risk youth, and those interested in challenging their personal development. Focused on the mission of “Revealing the possibilities within”, our staff attentively work to identify and accomplish goals appropriate for each group. The staff works very well with the kids. They keep the children challenged and teach them important skills and lessons relative to life. The program is fabulous! Some of the youth participants that use this program are identified as “at-risk.” The positive effect that 100 Elk has on these participants is so grand that agencies responsible for these youth have returned year after year. Both public and private school groups in Colorado, as well as neighboring mountain states, also use the 100 Elk program as a regular component of their curriculum. So, whether you come for a single day or for a multi-day stay, chances are you won’t be the same when you leave the 100 Elk Outdoor Center.